"We have this hope as an anchor for the soul, firm and secure." Hebrews 6:19 -- One Hope Filled Voice Can Encourage Us All. Will You Share Yours? people were nauseous and I looked at my spouse. with buckets, in case, next to their heads. trying to elude a nasty virus' trap. reminding us to cook while little ones were sleeping. but "Who would be well, and who would be sick?" was the question that lingered, as the clock ticked. while praying the tummies would "please, stay stable." ...but that isn't the end so pass the caffeine. We're better together - so together we'll be! We'll eat what we may, and then play Yahtzee®. Charlie Brown might make it, if his story gets played. each meal hand-picked, to singly satisfy. sister, brother, father, and mother. for grace, for love, for Jesus!" I say. not too soon, too quickly, or too easily fade. one destined to bring joy, and save many tears. and don't always turn out how we think that they should. and look to the One, that will bring you through. Don't give into despair, but fight for delight. 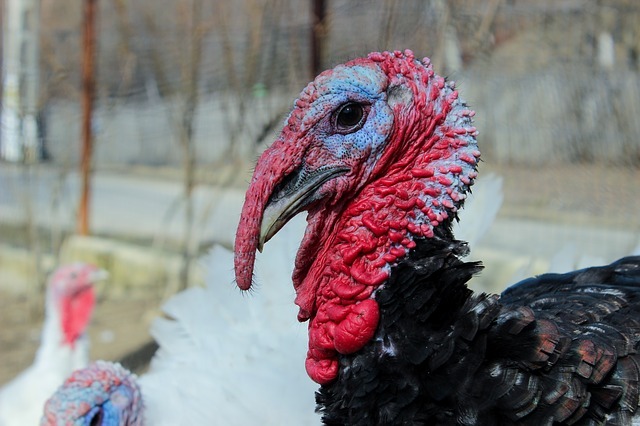 Happy Thanksgiving to all, and to all a good night! I recently told my children that we would be transitioning away from our home church in order to multiply the ministry we are a part of. Two kids cried and one outright refused to leave. She declared that we could drop her off on our way to wherever we were going. She is five, and she loves fiercely. The other, well, the other told us he would miss his best friend—Han Solo. He is three so... peace be with him. Their grief made me sorrowful as well. I know we, as those who have been chosen to parent them, are making the right choice. But seeing them mourn - while still processing the change myself - threatened the peace I have about the decision. Then a friend said to me, "You must be doing something right, for your kids to love the church so much." I hadn't even considered that. All I could see were little eyes welling up with petite tears. This valuable outside perspective gave me great joy because my kids are learning to love the family of Christ as much as we do. Apparently, they also love Star Wars. Anyway, the better of the two, the church, even with all its failures, fragility, and faults is seen as beautiful through the eyes of my little ones. They cried tears, had big feelings, and asked God for help. They have learned something bigger than their dad and I could ever teach. Maybe we are doing something right, but it's not just us. It's also YOU. It's us working together as God intended to teach the next generation, Jesus loves you. I want you to know that I am not oblivious to the way you have impacted my children, and neither are they. Your names were brought up in the midst of their lamenting along with the names of their peers. You have changed their nasty diapers and fed their tiny mouths, so my hungry soul could be fed spiritually. You have shown them mercy when they outright challenged your authority. You have wiped their noses and been infected with the plagues that have swept through kids ministry. 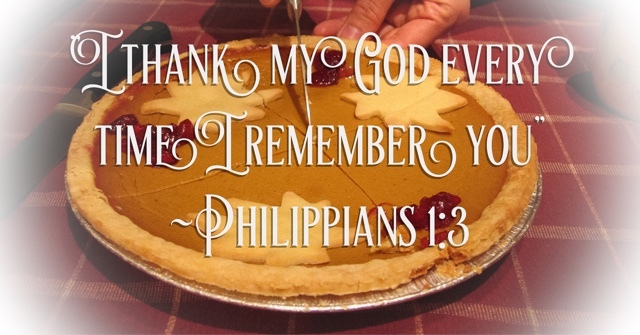 You have managed conflict, drama, and outright insanity, and helped these children love each other as they formed their own rich, child-like, Christ-centered community. You have shown them courage when you diligently served in a ministry that was being developed. When you stepped into a class filled with 3 to 10-year-olds who needed your care. You have stepped up to serve the Lord and teach the word to children who can't read the words but will listen to your grace-filled voice. You, who on Sunday Morning find the energy to make exuberant arm motions, dance to loud, cheerful music, and be undignified in order to lead littles in praise to a God who is big, strong, and mighty. You, who handle the aftermath when my child makes sure the whole class knows David, of slaying Goliath fame, was spying on Bathsheba while she was naked. You, who persevered year after year, holding and walking alongside my child as they grew from baby into toddler, into preschooler, into elementarian. You, who stayed late so we could pray with those walking through awkward times and deep waters. You, who come to their parties to cheer them on. Who rejoiced with me when they experienced success, showed growing character, and began knowing God in new ways. Who celebrated as they were baptized. You, who pray for their hearts, souls, and minds, while developing lessons, when you could be doing something, anything else. You loved my children well. They know Jesus more because of you. Thank you feels too small, but I mean it from the core of who I am. Our culture is wondering if the church is dying. They don't know people like you. 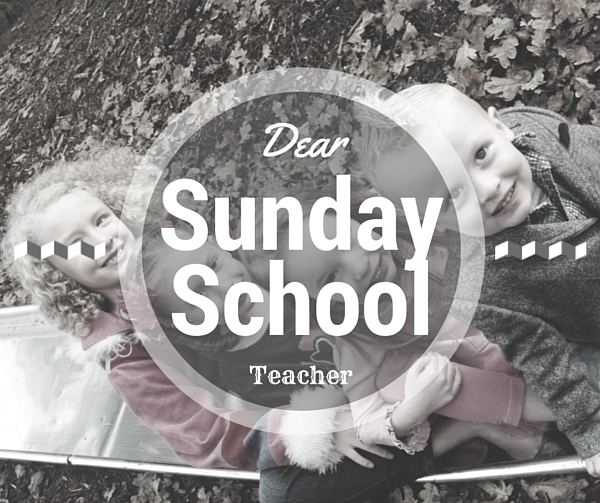 Readers do you have a Sunday School teacher you love and appreciate. Let them know; they are more precious to us than they realize. Welcome to Anchored Voices, a place for women to use their words and creativity to point each other to the God who anchors the soul. Conceived to foster an online community where we can remind one another that when the waves hit—in Jesus, the soul is safe.